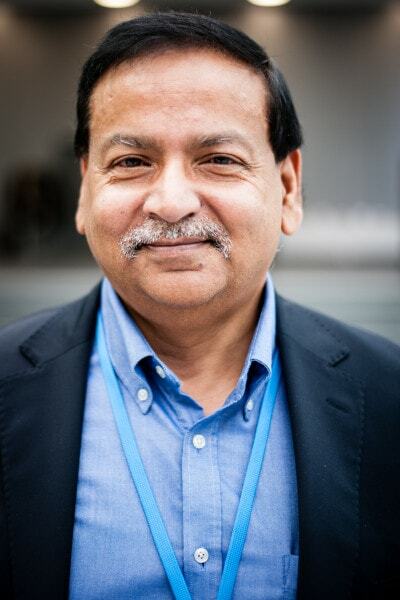 Dr. Saleemul Huq is the Director of the International Centre for Climate Change & Development (ICCCAD) since 2009. Dr. Huq is also a Senior Fellow at the International Institute for Environment & Development (IIED), where he is involved in building negotiating capacity and supporting the engagement of the Least Developed Countries (LDCs) in UNFCCC including negotiator training workshops for LDCs, policy briefings and support for the Adaptation Fund Board, as well as research into vulnerability and adaptation to climate change in the least developed countries. Dr. Huq has published numerous articles in scientific and popular journals, was a lead author of the chapter on Adaptation and Sustainable Development in the third assessment report of the Intergovernmental Panel on Climate Change (IPCC), and was one of the coordinating lead authors of ‘Inter-relationships between adaptation and mitigation’ in the IPCC’s Fourth Assessment Report (2007). Prior to this, he was at Bangladesh Centre for Advanced Studies (BCAS) where he was in charge of management and strategy of the organisation. In 2000 he became an Academic Visitor at the Huxley School of Environment at Imperial College in London.